Lawnmowers will straddle side frames in adjacent sections. 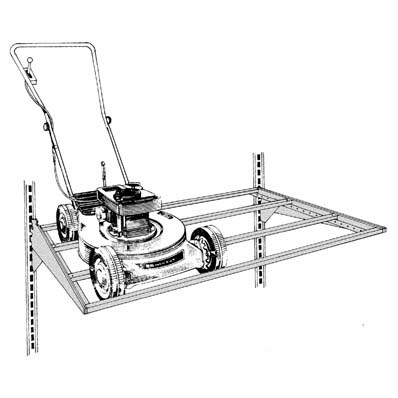 48" wide x 28" deep x 15 degree downslope frame has adjustable crossbars to accommodate varying wheelbases and other lawn care items. 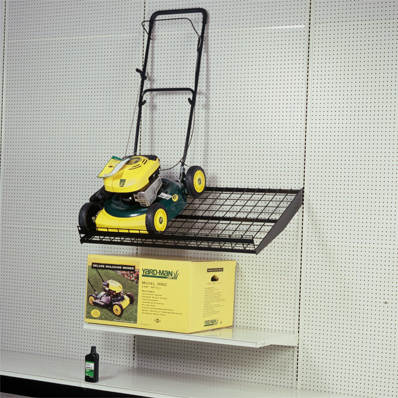 Assembled Lawnmowers may be shown double tiered or as singles above boxed stock for self service.